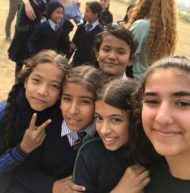 Three of our Global Citizens went to Nepal in December for a 2 week volunteer project. 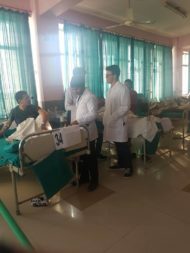 They visited the Chitwan Medical College (CMC) hospital, the Eye Hospital, the Cancer Hospital and the Community Hospital, assisting medical staff with everything from filing medical records to shadowing the doctors during their rounds and patient consultations and helping the Nepalese community. They also attended lectures and demonstrations on topics such as pathology, anatomy. They spent an afternoon visiting with the residents of an old age home and wrapped up their time in Chitwan by planning a dental health outreach program for local school children.